Well, this review has been a long time coming! I purchased the Our Generation Poseable Morgan Horse back in the fall of 2013, right after I wrote my review of the larger Paradise horses. For one reason after another, this review has been postponed for over a year. One of the problems is that it's tricky to photograph a large horse like this indoors, and it's also rare to have the right combination of weather conditions to complete an outdoor review (at least here in Maine). I finally decided to just do the best I could with indoor lights and some pretty soggy outdoor winter weather. 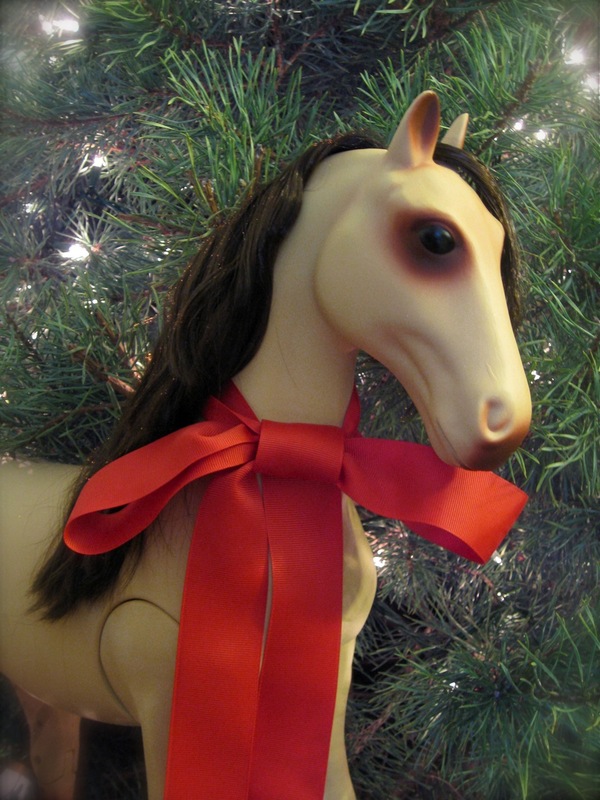 Battat has three varieties of model horse for their 18" play dolls: there are unarticulated large horses, unarticulated foals, and two articulated large horses (the Morgan reviewed here and the pure white Circus Horse). I wanted to review one of the articulated horses (because that's my thing), and chose the Morgan because he comes with a full Western tack set instead of circus garb. All of the large horses cost $34.99 (on sale now for $30) and are available at Target. I still fondly remember the year when there were two large Battat horses peeking out from under the Christmas tree for my own kids. It's nice to write this review as I think about all of the lucky children who will add one of these impressive creatures to their stable this holiday season. The question I have been asked a lot recently, though, is which large horse is the best gift choice, the My Life As horses by Paradise or the articulated Our Generation horses? Let's find out! Our Generation "Poseable Morgan Horse," $34.99. I stumbled on the Honey Lemon doll one day while I was casually browsing through the Disney Store's online collections. 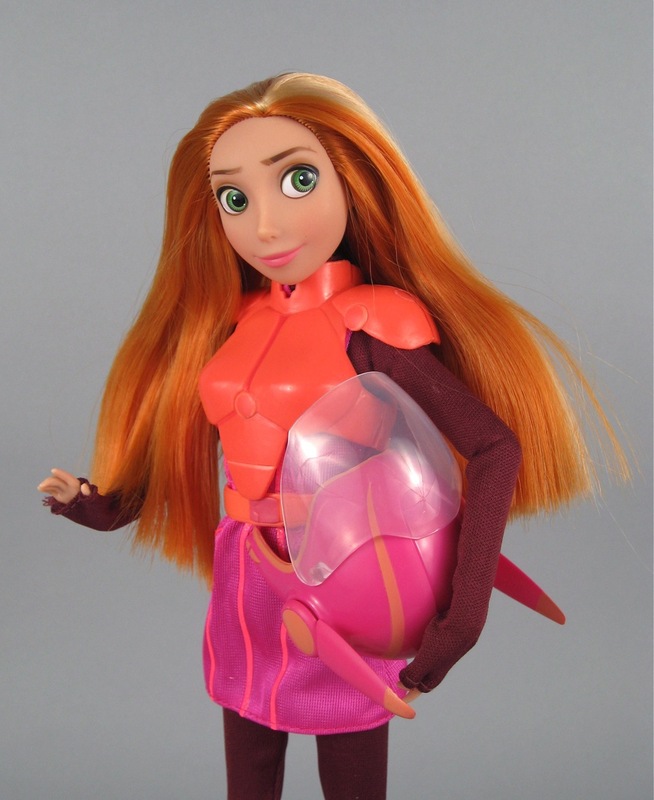 At that time, I didn't know anything about the Big Hero 6 movie--I just noticed that there was a new redheaded Disney doll who looked really fun and full of character. A few weeks ago, Christina recommended Honey Lemon to me over on Facebook, and I figured it would be a good time to actually see the movie and think about doing a review of the doll. I still didn't know the story of Big Hero 6 when I went to the theater last week (the title doesn't give much away). I knew the movie was loosely based on a Marvel comic book series by the same name, but that's about it. I don't want to give away too much about the movie to any of you, but it's really a delightful, action-filled film with tons of heart. I thoroughly enjoyed it and was even laughing out loud (and crying a little, too) on several occasions...even though I was the only one in the theater. The Disney Store's "Honey Lemon" from the Big Hero 6 movie. Lammily is a unique new fashion doll who was released at the end of December. The mainstream media is very interested in this doll, and has been since her conception in early 2013. In fact, I didn't learn about Lammily through the usual doll collecting channels, but rather from my brother-in-law, who saw an article about her in The Atlantic last May. Lammily was designed by graphic artist Nickolay Lamm, and the reason that she has captured such widespread attention is that she was designed to have the body proportions of a typical American teenager. 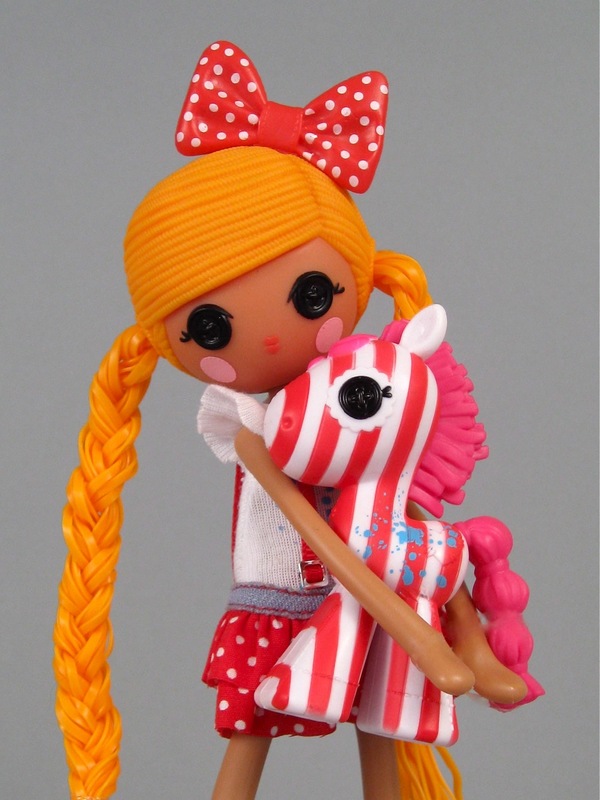 Unlike Barbie (and most other 12-inch fashion dolls) Lammily does not have an impossibly tiny waist, large chest, oversized head or spindly legs. Mr. Lamm used body measurements published by the Center for Disease Control to ensure that his doll would not only be realistic...but would be average. The word "average" does not tend to conjure visions of loveliness, but Mr. Lamm challenged this preconception and branded his doll with the inspiring logo, "Average is Beautiful." The Lammily doll makes her entrance. I've said this before, but I am not a big fan of the traditional Lalaloopsy dolls. I like the mini dolls a lot, but the larger characters are not my thing. I think they look very enticing in the store--with their cute faces and clever, colorful, diverse themes, but I have never fully bought into the idea of a plastic "rag" doll. The dolls don't seem especially cuddly to me, and they can't stand (or even sit) on their own, which limits how they can be used for play. Because of this opinion, I don't review very many Lalaloopsy products. Recently, several of you have recommended that I purchase one of MGA's new 9-inch dolls from the "Lalaloopsy Girls" collection. I've noticed these dolls in passing a few times at Target and Toys R Us over the last few months, but couldn't initially appreciate the appeal. I mean, how many sizes of Lalaloopsies do we need? Besides, it didn't look like these new dolls would be able to stand on their own any better than the originals--a feature that would irritate me in a fashion-style doll. It was actually a comment over on Facebook that convinced me to open my mind and finally take a closer look at these dolls. Tanya's comment mentioned that she, too, was skeptical about the dolls at first, but ended up falling hard for these spaghetti-limbed newcomers. I took her words to heart and bought the Lalaloopsy Girls version of "Spot Splatter Splash:"
Lalaloopsy Girls "Spot Splatter Splash," $14.99.